Your customers are busy, just like you. So, if they’re going to take the time out of their day to write you a review you need to make it as easy for them as possible. 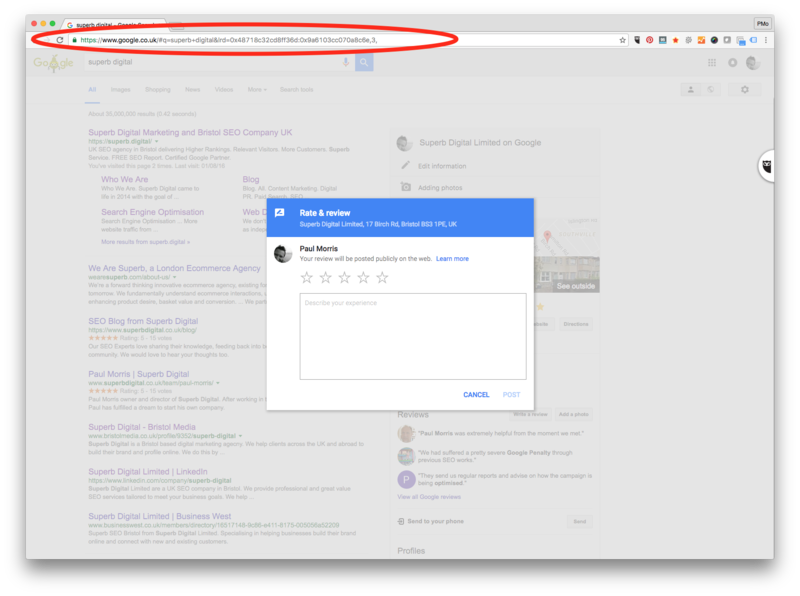 The best way you can do this is by giving them a simple link that will take them straight to your Google My Business review page. 1. Search for your company by name in Google. Tip: If you’ve got a generic business name you may be hard to find. Add either part or all of your address to your search query and you’ll have a better chance of finding it. 2. Click on the button “Write a review”. 3. You’ll see a Google review box has popped up, copy the URL out of the address bar. 4. 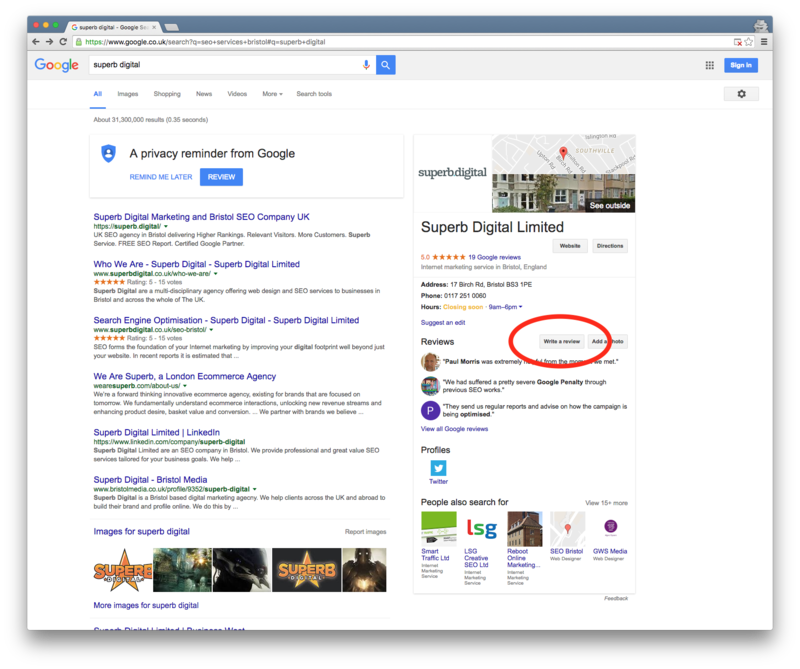 Shorten your Google review URL. A nice touch I’ve seen a few people do is to shorten the URL so it’s a bit more user-friendly. There are lots of URL shortening services out there, I tend to use https://bitly.com/ most often though. Copy and paste your long URL into the text box and click “shorten URL”. This will give you a URL such as http://bit.ly/2tmDSFf. You now have a nice short URL you can send to clients that will send them directly to leave a review for your Google My Business page. If you didn’t want to go through the process of shortening your URL, you can always just hyper link some of the text when you send it to your customers. Which is actually step 5. 5. Send to your clients and start getting Google reviews. Copy this URL and paste it into an email and send it out to all of your regular clients and to any new clients you do work for from now on. Would you be willing to leave a quick review for the recent [SPECIFIC PRODUCT OR SERVICE] you purchased from us. It should only take a moment if you just click here.